Commenced Martial Arts Training in 1979, studying Kyokushinkai Karate with Roy Banton and Joe Claronino in Tottenham College North London. Studied Shaolin Kung Fu under two Malaysian instructors and started teaching in 1988. In 2000 formed Shaolin Quanshu with Sifu Norman Morrison. Qualified in 1996 as a Fitness Instructor with the YMCA and is currently working as a One to One Coach with an established and diverse client base. Has completed several physical challenges, usually running or cycling, for charities such as Breakthrough Breast Cancer, Action Medical Research, Geoff Thomas Leukaemia Foundation, Barnet and Chase Farm Hospitals Trust and will continue to support charities in the future as long as he is physically able! Believes that Martial Arts gives the ability to enrich life mentally, physically and spiritually and that it teaches a degree of humility and respect not often found in many sports. Places a great importance on giving support to all his students in their life goals whether they be academic, physical or work related and emphasises balance in life without losing passion. Thinks that a majority of people, can benefit from the training if effort is put in and would like to be given the opportunity to pass on the knowledge he has gained over the last 33 years. I began martial arts training in 1982 studying Shaolin Kung Fu in Paddington and Golders Green. In 1988 I gained my Black Belt. In 2001 I gained my YMCA Professional Gym Instructor and Circuit Training Level 2 Award. I have taught womens self defense courses. At present I assist in the coaching of the classes, often taking the entire class. 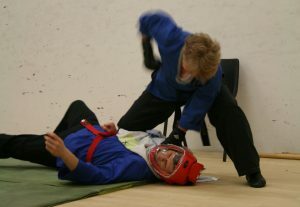 As senior instructor I mark the gradings and aid in the administration of the club. I teach 1-2-1 sessions in fitness coaching, martial arts, stretching, fitball, weight loss, & cadio – to name a few and have a broad and diverse client base, some of which have been with me from the start. I love Martial Arts as it brings so much to my life. It is a great motivator, builds confidence, fantastic workout and you get to meet some great people. My Martial Arts training in 1984 studying Seiki Juku Karate under Eddie Bastone at the Camden Irish Centre. I later joined the Wembley & Willesden clubs training under Dave Clarke and Ian Ordin. In 1993 aged 17 gained my 1st Dan Blackbelt. 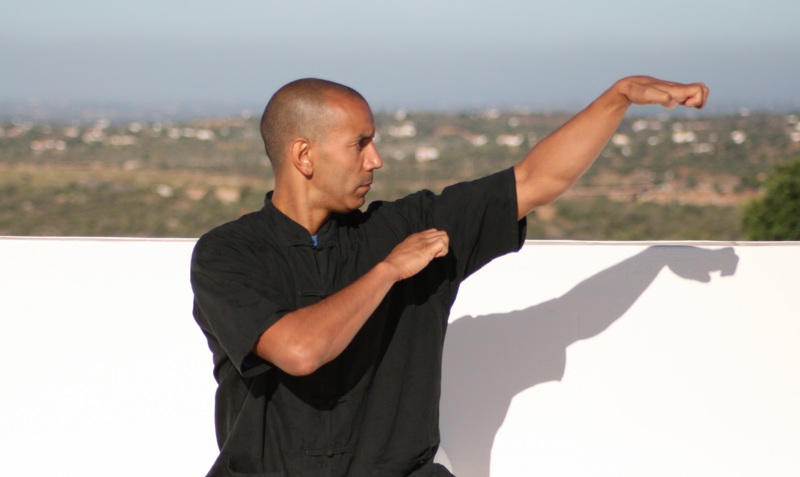 Over the next 5 years I went on to study a variety of styles including Wing Chun Kung Fu and Shen Chi Do. 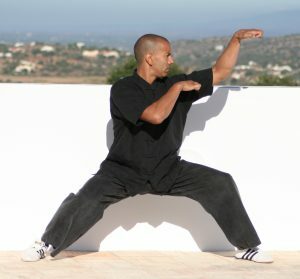 In 1998 I was introduced to Shaolin Kungfu in Southgate and began learning under the tuition of Sifu Adrian Browne. 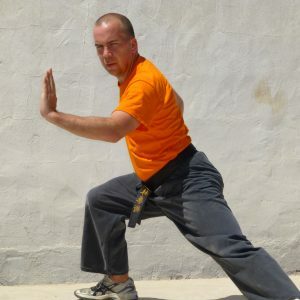 I travelled the world for a year and upon my return in the year 2000, I joined the newly formed Shaolin Quanshu Kung Fu style created by Sifu Adrian Browne and Sifu Norman Morrison. In 2010 I achieved my 1st Black Belt and since February 2011, I have been teaching the children's class.